After a disappointing trip to the 2014 Intercollegiate Team Championships in Reno, NV, the University of Wisconsin Warhawks were determined to not have a repeat showing. Although the team finished the 24 games of qualifying in the exact same place as last season (12th), their match play results were quite different. In the opening round of the bracket, the 12th seeded Warhawks faced off with the 5th seed (and fellow Club program) Purdue University. In a match that should have been one game less, the Warhawks rallied for a 4-2 victory over the Boilermakers. The Warhawks were the only team seeded 9th - 16th to win their first round match. In the second round, the Warhawks faced the McKendree University Bearcats. The team really amps up to bowl this team as there is a strong rivalry between the two teams. However, the Warhawks didn't leave much opportunity for the Bearcats as they sent them into the contenders bracket after just 5 games. The Warhawks won 4-1. By winning both matches on Thursday night, the Warhawks were one of four unbeaten teams and were able to sleep in and not compete until 1:30pm on Friday. First up for the Warhawks were the Midland Warriors. Much like the Hoosier Classic, this was a match that could have gone either way and was decided in the 10th frame of game 7. Unfortunately, the Warriors were able to edge out the Warhawks and we were sent to the Contenders Bracket. Facing elimination, the Warhawks had to go up against a red hot Calumet College of St. Joseph team. They had just eliminated Purdue University (4-1) and McKendree (4-0). Unfortunately, the Crimson Wave had the momentum in their favor and continued their winning ways, eliminating the Warhawks in four straight games. Despite losing both matches on Friday, it was a great week for the program. The team finished 5th at nationals and left with the fact that they know they can compete on the largest stage in college bowling! The team now knows that they are contenders and with six of our eight roster members coming back next year, I would look for some hardware to be brought back from Wichita in 2016! We would also like to congratulate Nick Kruml on his two post season awards. Nick was named a National Collegiate Bowling Coaches Association First Team All American as well as an International Bowling Media Association Collegiate Player of the Year Runner Up! It truly was an amazing weekend at the Collegiate Club Championships, presented by Logo Infusion. The event opened with the announcement of the Real Bowlers Tape Men's All American Team! 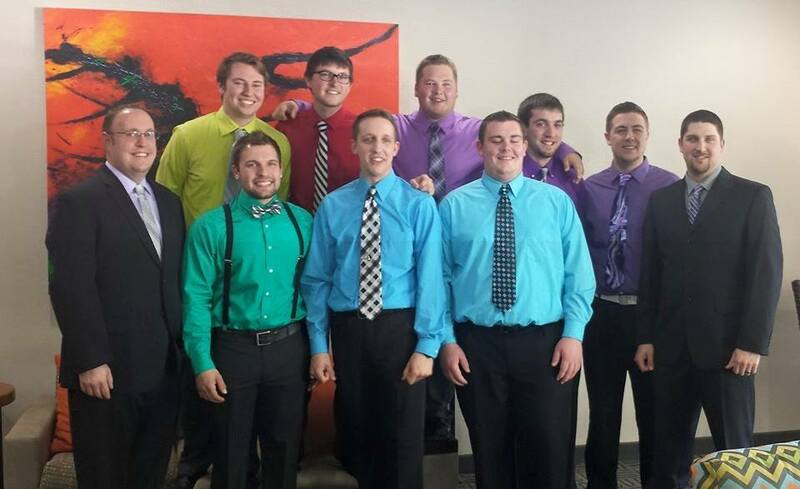 The University of Wisconsin Whtiewater was well represented as we had nine finalists: Ryne Greenwood, Nick Kruml, Bobby Phillips, Josh Pritchard, Dan reinke, Corben Sadowski, Tyler Sadowski, Kevin Scholz and Chris Wiley. Both Nick Kruml and Bobby Phillps were named to the Real Bowlers Tape Men's Club First Team All American! Then team Head Coach Shawn Wochner was named the Randy Widger Men's Club Coach of the Year! Congratulations to all award finalists and winners! Then it was time to get down to business. While the Warhawks started their pool play a little shaky, they were able to win the Marv Overby Poll with a 4-2 record. This gave them a first round bye, and the team saw both Nick Kruml and Dan Reinke placed on the Storm All Tournament Team ballot. In the second round of match play, the Warhawks faced off with William Paterson University. They closed out the match shooting 280 to win 3-1 in a best of 5 match. First thing Sunday morning, the team took down the University of Kansas 3-1. Round 5 didn't quite go as planned as the Warhawks were defeated by the eventual Collegiate Club Championships winning team, California State University Fresno 3-0. This moved the team into the Contenders (Losers) Bracket, which saw a format change to a best 2 out of 3 match. In round 7 the team defeated Wright State 2-0. The next round found the team squeaking by Saginaw Valley State University 2-1. In the Semi-Finals, the Warhawks ran into a roadblock named Morehead State University as they were defeated and eliminated from the tournament with a match score of 2-0. The teams 3rd place finish is nothing to be ashamed of! The team will utilize this experience as both motivation and confidence as they get ready to compete next week in the Intercollegiate Team Championships in Wichita, KS. There was one last award to be earned by the Warhwaks. As mentioned above, both Nick Kruml and Dan Reinke were named finalists for the Storm All Tournament Team. Junior Dan Reinke was named to the Storm All Tournament Team! 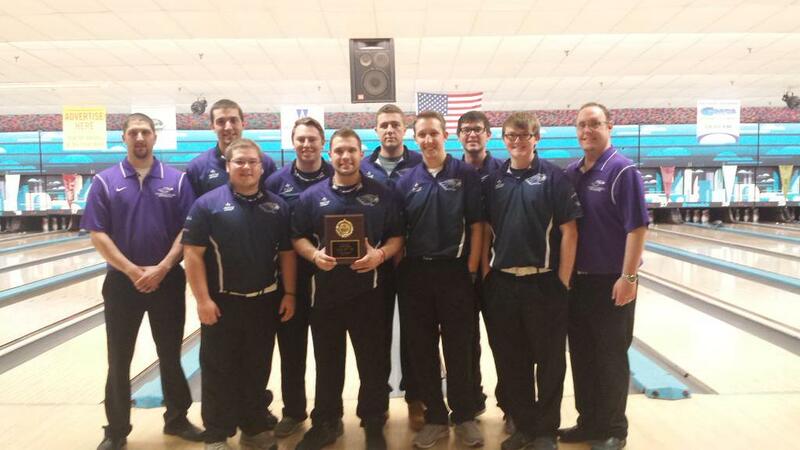 The USBC Intercollegiate Team Championships Sectional Qualifiers were held this past weekend and the Warhawks came out with a 2nd place finish thus qualifying for the Intercollegiate Team Championships! The ITC Sectional Qualifier included 64 bakers games over 2 days. The men's team finished with a total of 12,746. The team showed an immense amount of heart and fortitude as they conquered the tough lane conditions. In the end, they proved that they truly are one of the nations top teams and together, they can accomplish anything that they set their minds to! I am so excited to see what they can accomplish at both the Collegiate Club Championships, presented by Logo Infusion as well as the XBowling Intercollegiate Team Championships! April is going to be one awesome month! Warhawks take 2nd at the Hoosier Classic! The regular season ended on a high note for the University of Wisconsin Whitewater Warhawks! The team competed in the 78 varsity team Hoosier Classic! Through the 9 team games, the Warhawks finished 8th. From there, they entered into a 12 team bracket, with the top 4 seeds receiving a round 1 bye. In the opening round of match play, the Warhawks took on a tough 17th ranked Newman University in a best 2 out of 3 match. Despite dropping the first game and not looking good through the first five frames of game 2, the Warhawks turned it on in the back half of game 2 and came back to win that game and taking game 3 to move on to the second round of 8. In this round, the Warhawks took on 4th ranked San Jose State University. Having competed on the tournament condition for one match already, the Warhawks had a good idea of how the lanes were broken down. The Warhawks didn't give San Jose State much breathing room from the very beginning, taking game one by nearly 100 pins. While game 2 was a little closer, the outcome still played in the Warhawks favor allowing them to win the match 2-0 and advance to the semi-finals. The semi-finals saw a rematch from the finals of the Leatherneck Classic. The Warhawks faced off with 8th ranked Lindenwood University. In this match, the Warhawks came out determined to avenge their loss from the last meeting of the two teams, and they did so in 2 straight games. It was now on to the finals for the biggest tournament title of the regular season. The finals between the University of Wisconsin Whtiewater (7th ranked team in the nation) and Robert Morris University - Illinois (1st ranked team in the nation) because a best out of 7 match. And the Warhawks fought to the very end, taking the match down to the 10th frame of the 7th game. While the ending of the match didn't go our way, we are very excited about how we performed in match play and how we fought every shot along our journey. This will provide a huge confidence boost to the team heading into the post season. The Warhawks competed in back to back weekends of conference play in the Wisconsin Collegiate Bowling Conference. The team put up dominating performances in both events, winning the WCBC 3 by 694 and the WCBC 4 by 839! Conference 3 saw Senior/Grad Josh Pritchard record his first win averaging 217.333. Also making the All Tournament Team was Junior Dan Reinke (208.333) and 5th went to Junior Transfer Jordan Hastings (207.833). During the conference final event, Sophomore Zach Woelfel received his first tournament win averaging 237.500 while Junior Nick Kruml was second averaging 230.330. Rounding out the All Tournament Team and earning his first birth to an ATT, Freshman Chris Wiley was 5th averaging 225.000. While the Warhawks recorded a 40-4 record over the four conference tournaments and grabbed the number 1 seed, the Warhawks ran into a buzzsaw named Mankato in the first round of the tournament. The Warhawks struggled a bit game 1 to get things going. But game two was a very different story. While the Warhawks shot 256, they still missed their opportunity of going to a decisive third game. However, despite the ending to the conference season, three Warhawks did earn honors on the All Conference Team. Kevin Scholz, Dan Reinke and Nick Kruml finished 1st, 2nd and 3rd in the point system. Congratulations to those three and the entire Warhawks team on their successful conference season! Prior to starting the second semester, the Warhawks Varsity and JV teams took to the lanes in Addison, IL in the Kegel/ISBPA Midwest Classic. While the JV team showed some great promise for the future of the program, the varsity team struggled a little bit. For an event that placed a premium on spare shooting, the Warhawks struggled to fill mass amounts of frames. While the team finished 14th out of 62 teams, they still were able to increase their average of points per event by earning 206 points for the tournament. The team has one weekend off before competing in three consecutive weekends. The team will bowl in the WCBC III event January 31st and February 1st in Green Bay, WI. February 7th and 18th, the team will be competing in the WCBC IV tournament and conference championships in Madison, WI. The final regular season tournament of the season will take place February 14th and 15th in Indianapolis, IN. The Hoosier Classic will feature all 20 of the nations top 20 teams, in a total field of 78 men's teams! The fall semester wrapped up for the 2014-15 season with a pair of Tier 1 tournaments in Allentown, PA. The varsity team gathered Christmas evening near Midway Airport in Chicago, IL before flying into Newark, NJ at 6:00am on the 26th. Prior to bowling, the team spent the day in Philadelphia doing some sight seeing. The team had lunch at Geno's, then visited the Liberty Bell, took a tour of Independence Hall, stopped for ice cream at the Franklin Fountain all before running the steps at the Philadelphia Museum of Art! After spending the day sight seeing, it was time to get down to business. The Warhawks bowled on the A squad Saturday and despite some below normal spare shooting, the team lead the A squad. Once both squads were combined, the team found themselves 2nd overall. Bobby Phillips also picked up his third All Tournament Team by finishing 3rd overall. Sunday's competition included 20 baker games. The team stepped it up and had only their second positive baker block of the season. The team made a run at Robert Morris but one set made the difference. The team ended up finishing second, which marks the highest finish ever for UW Whtiewater in a Tier 1! Congratulations guys! The second Tier 1 didn't quite have the same result. The pattern was much more difficult and the scoring pace dropped considerably. Despite sub par days, both the final team game and final baker block helped to set the Warhawks up for a 6th place finish. With the first semester complete, based on my calculations, the team will be ranked 3rd in the nation. This will mark the highest mid season ranking ever for the Warhawks. Spring semester will be a busy one with 2 Tier 1 tournaments and 2 additional conference tournaments. Post season will bring Sectionals, Club Championships and hopefully a second consecutive trip to nationals. Stay tuned to our website, facebook and twitter pages for all the up to date information! Well the end of our first semester tournaments has past. This past weekend the UW Whitewater Warhawks competed in the Warhawk Open in Madison, WI. The Varsity team placed 3rd out of 25 varsity teams while the JV2 team took 1st in the 7 team JV field (and would have been 8th overall) while the JV 1 team took 3rd in JV (and would have been 11th overall). The team also found success on the individual side. Junior Kevin Scholz won the individual portion averaging 229 per game. Freshman Chris Wiley took 6th and Senior Josh Pritchard finished 7th. Other Warhawks placing in the top 25 include: Juniors Ryne Greenwood (14th at 213 average), Jordan Hastings (21st at 204 average) and Nick Kruml (24th at 202 average). There were a few other Warhawks who averaged 200 for less than 6 games: Dan Reinke 201/1, Corben Sadowski 224/5 and Paul Colomer 213 for 5. Great bowling everyone! Also, thank you to all the parents who helped organize, work, donated items to and donated money to our fundraising efforts this weekend. We were able to increase our fundraising total by 10% over last season! So great job everyone involved! The Warhawks are off for three weeks before the Varsity team heads to Allentown, PA December 26th to compete in two Tier 1 events. Spring semester will get underway January 16th and 17th in Addison, IL with a Tier 1 which will see both the Varsity team and a JV 1 team. Five tournaments into the 2014-15 season, I could not be any more proud of this team than I am today! We have improved on each and every one of our performances from last year, both as a team and as individuals! 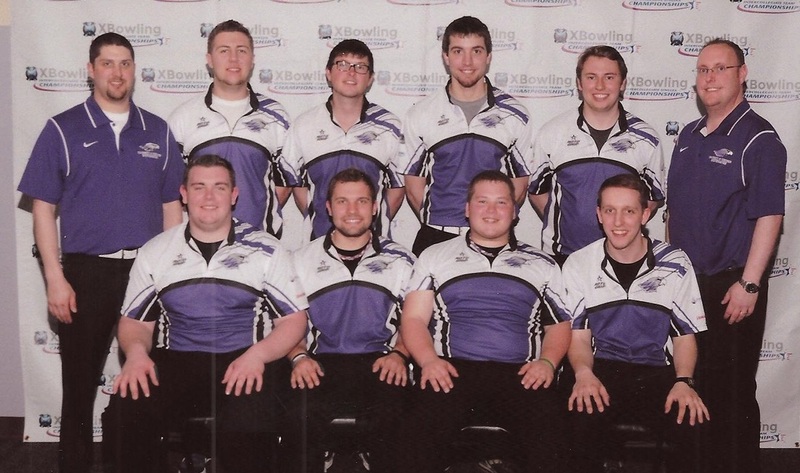 Through 9 weeks of the college bowling season, the University of Wisconsin - Whitewater Men's Uww ClubSports Bowling Team is ranked 6th in the nation (out of 153 teams)! This time last year, we were ranked 11th in the nation! So this is a huge jump for the team! We also currently have several bowlers in the top of the nation individually! Nick Kruml sits atop of the list with a 217.182 average for 33 games, including 1 win and 2 additional top 5 finishes. Kevin Scholz is second in the nation with a 217.111 average for 18 games. Kevin has 1 individual title to his name. Sitting 3rd in the nation is Bobby Phillips. Bobby is averaging 215.897 for 29 games and has 1 win (at a major) and 1 other top 5 finish! Josh Pritchard sits 12th in the nation with a 209.348 average and 1 top 5 finish. Christopher Wiley is in 24th place overall (and 3rd amongst rookies) with a 206.579 average. Rounding out UWW players in the top 30 include Ryne Greenwood at 26th (204.880 average) with 1 top 5 finish and Dan Reinke at 27th (204.632 average) with 1 individual title. 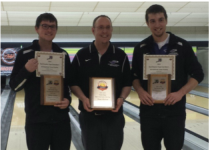 This is undoubtedly the most successful start to any UW Whitewater bowling season in history! We look to continue to work hard and keep this success progressing! We are off this weekend and next before hosting our home tournament, the Warhawk Open! We then have another couple of weeks off before heading out to Allentown, PA for two major events between Christmas and New Years! Time to put in the work fellas and make these three tournaments bigger than they have ever been before! Let's continue to put Whitewater on the map! After two weeks off, the Warhawks ventured to Moline, IL for the 2014 Leatherneck Classic. The Warhawks were led by Junior Ryne Greenwood, who finished 4th in the individual standings. While Sunday started a little slow, the Warhawks dug deep and pulled out two last 800 sets in order to hold down the 4th place finish in the qualifying rounds! The Warhawks started round one with Newman University. The team started on the left lane and fired a huge 250+ game, easily jumping out to a 1-0 lead. Switching lanes, the team had a rough go at game two, evening up the match. In the third and decisive game, the Warhawks fired another 250+ game to advance to the semi-finals. In the semis, the Warhawks downed the nations number 1 team, McKendree University. The finals sang a different tune. The Warhawks dropped game one to Lindenwood University, currently the number 2 team in the nation. Facing elimination, the Warhawks fought hard but fell short in game 2 to lose the match 2-0. This left the Warhawks in second place. The experience from this event will help to propel the Warhawks for the rest of the fall semester. All three teams will travel to Nenah, WI for the Titan Invite next weekend. Action kicks off at noon on Saturday! The University of Wisconsin Whitewater Warhawks Men's Bowling Team was in action this past weekend at AMF West in Milwaukee, WI. This second trip to Milwaukee was to compete in the second Wisconsin Collegiate Bowling Conference tournament. This tournament yielded the exact same outcome that the first WCBC tournament did. The varsity team cruised to an easy victory, winning by 637 pins over Minnesota State University Mankato. The JV teams also finished 1st and 2nd in the JV division, and were 3rd and 4th overall. In the singles standings, once again the Warhawks are prevalent. Junior Kevin Scholz not only earned his first spot on an All Tournament Team, he did in by winning the tournament. Kevin averaged 233.5 over six games. He beat teammate and fellow junior Nick Kruml by 54 pins. Nick finished second and averaged 224.5. Rounding out the final spot on the All Tournament Team, and also earning his first ever spot on an All Tournament Team, was senior/grad Josh Pritchard! Josh averaged 216.6 on Saturday. Just missing the All Tournament Team was freshman Chris Wiley. Chris missed the ATT by 25 pins, but still an awesome performance! This win marked the 11th consecutive and 14th overall since the 2010-11 season. The three individual All Tournament Team finishes also marked the 28th, 29th and 30th spots in WCBC competition for the Warhawks! Hopefully the team can carry this momentum and success into their next competition which is the Leatherneck Classic. The team will be off the next two weekends! This past weekend, the varsity team ventured to AMF Bowlero in Wauwatosa, WI for the Midwest Collegiate Classic. This was the first of five Tier 1 events during the 2014-15 season. While the team accomplished their goal of finishing in the top 10 (finishing 8th out of 40 varsity men's teams), they certainly exposed some weaknesses that they will work on over the next two weeks prior to competing in the second WCBC event October 18th and 19th in Milwaukee, WI. One of the highlights of the weekend was Bobby "Barb" Phillips winning the individual portion of the tournament. Bobby went plus 183 over 9 games, averaging just over 220. This was Bobby's first collegiate win and only his second all tournament team finish. Junior Nick Kruml finished 27th shooting 1825 for 9. The team has a weekend off before heading back to Milwaukee for the second WCBC events October 18-19. 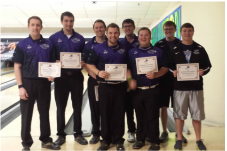 With the 2014-15 season officially underway, the University of Wisconsin Whitewater Warhawks traveled to Bloomington, MN for the first Wisconsin Collegiate Bowling Conference (WCBC) event of the season. This was, from top to bottom, the most dominating showing the Warhawks have ever had. The varsity team won the 17 team tournament by 1,024 pins. This is the largest margin of victory in recent years in college bowling. Three varsity players landed themselves spots on the All Tournament Team. Junior Dan Reinke paced the field by shooting 1388 for six games, giving him a 231.33 average for his six games. Finishing third was Junior Nick Kruml. Nick averaged 221.5 by shooting 1329. Taking the fifth spot was transfer Junior (first year Warhawk) Jordan Hastings. Jordan went plus 101 and averaged 216.83. Also impressive was the fact that the varsity team averaged 221 for their 20 baker games on Sunday. The two JV teams finished 1st and 2nd in the JV division. Had all teams been combined, the JV 2 team (all freshmen) would have finished 3rd while the JV 1 team (all returners) would have finished 5th. This was possible by having a total of 12 of the 23 players averaging over 200 for the games that they bowled! The performance of out JV program sent a message about the depth of our program to not only the UWW coaching staff, but to all the other teams in college bowling! This tournament gave the guys the confidence they need heading into the seasons first Tier 1 this weekend in Wauwatosa, WI. Can't wait to see what the guys can do on a bigger stage. Stay tuned to the Warhawks Facebook and Twitter pages as results will be posted throughout the weekend! Meet the 2014-15 UW Whitewater Warhawks! Thank you to everyone who tried out and congratulations to those that made the team! The work begins now! It is ‪#‎OurTime‬! Without your support, we wouldn't be the team that we are today! So thank you! We are hoping to make you proud in 2014-15! Here's to a great 2014-15 season UW Whitewater bowling! Storm Bowling just announced today that the University of Wisconsin Whitewater men's bowling program has been selected as one of 35 collegiate staff programs! This marks the sixth consecutive year that the men's program has been selected to receive this honor. Head Coach Shawn Wochner said, "We are very excited for this opportunity. Storm Bowling and Roto Grip produces the best bowling equipment in the industry. We are a stronger team with their equipment in our hands. We would like to thank both Storm Bowling and Roto Grip for their continued support of our program!" The team get's things started today with tryouts. It is anticipated that 27 players will compete for 24 spots on the 2014-15 roster. This years team will look to make their second consecutive trip to the Intercollegiate Team Championships which will take place in Wichita, KS April 16th - 18th. Check back here frequently for updates throughout the tryout process. Results will be posted here daily, so check back frequently! Good luck everyone!